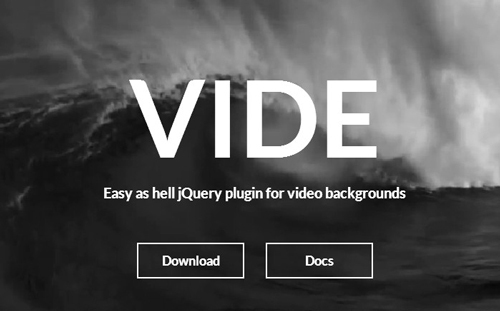 VIDE is a jQuery plugin for video backgrounds.Minified version size is only ~3.6kb. – All modern desktop browsers are supported. – iOS plays video from a browser only in the native player. So video for iOS is disabled, – only fullscreen poster will be. – Some android devices play video, some — no, go figure. So video for android is disabled, only fullscreen poster will be. 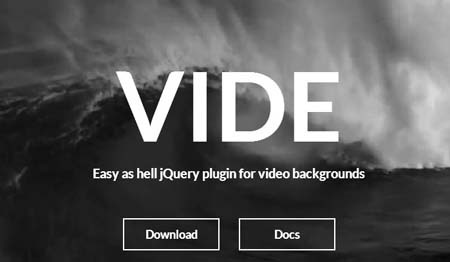 Video plugin resizes, if window resizes. If you will use something like https://github.com/cowboy/jquery-resize, it will resize automatically, when element will resize. Or simply use resize() method whenever you need.